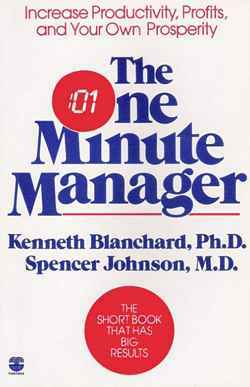 The “One Minute Manager” is one of those best-selling business books that I’ve heard a lot about but never actually read, until recently. 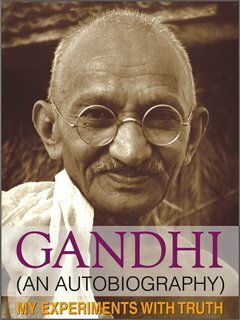 First published in 1982 and subsequently translated into dozens of languages, this book has sold over 13 million copies. Legions of managers and HR-trainers swear by this book. Organizations around the world have distributed it as mandatory reading to their employees. When managers treat their employees right and give them clear directions, they’ll feel good about themselves and develop into happier, more productive workers. Employees learn only through positive reinforcement when they do something right and through sharp criticism when they do something wrong. Written as an allegory, the “One Minute Manager” follows an aspiring young manager who discovers the one-minute manager when seeking to find and learn from an effective manager. One-minute praising and one-minute reprimand, where the manager gives specific, immediate, and direct appreciative or corrective feedback on how he thinks the employee is doing versus set goals. While reprimanding, the one-minute manager takes care to separate the performance from the person; he chastises the behavior, not the person. Oddly enough, the authors encourage managers to shake hands or touch employees’ shoulders “in a way that lets them know you are honestly on their side” and then encourage, reassure, and show support. There’s nothing intriguing, stimulating, or profound in this book to justify its popularity. Perhaps its simplicity was intentional—the fable-like narrative quickly grabbed attention. It struck a resonant chord in the 1980s and catered to a sense of urgency within organizations to quickly and easily make managers effective. The One Minute Manager’s fast-food approach to management focuses on just two elements of what managers do: goal-setting and giving feedback. There’s nothing about employee development, delegation, compensation and benefits, teams, and other important elements of a manager’s responsibilities. Recommendation: Skim. This book is an introductory quick-read for new managers who may be particularly inexperienced with setting goals and appraising employees. Advice for the First-Time Manager: Whom Should You Invest Your Time With?